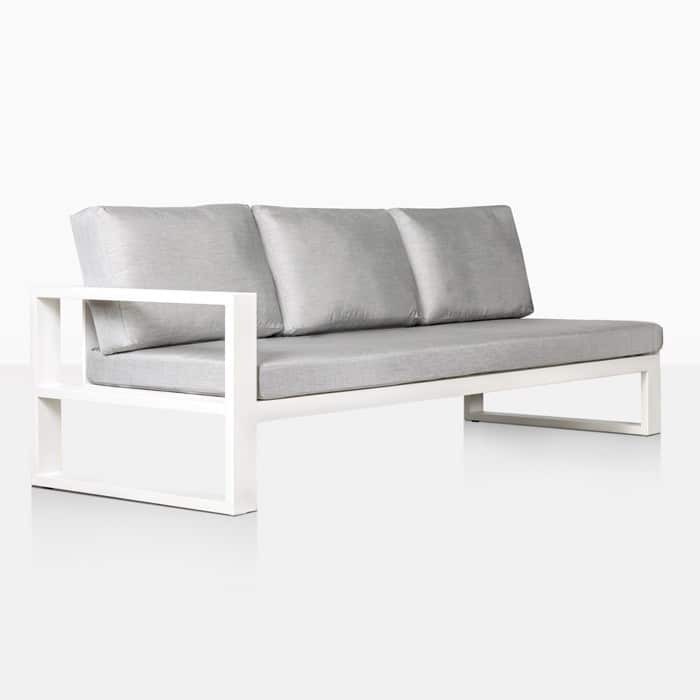 A beautiful collaboration of modern and classic styles is at the forefront of the Mykonos Aluminium and Teak Coffee Table. You really couldn’t ask for a better pairing of materials. Stunning panels of Grade A Teak run the width of the rectangular coffee table, while its base is pristine powder coated white aluminium. The clean lines and sleek design of this gorgeous piece will add glamour and a sense of occasion to any outdoor area. 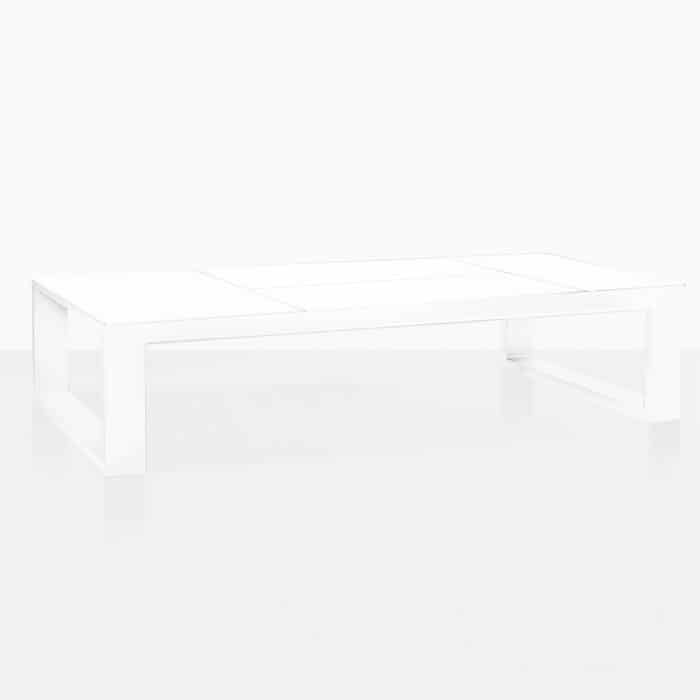 Consistent with our Mykonos Collection, this low lying rectangular Coffee Table is stylish, modern and beautiful. Mykonos is all about impact. 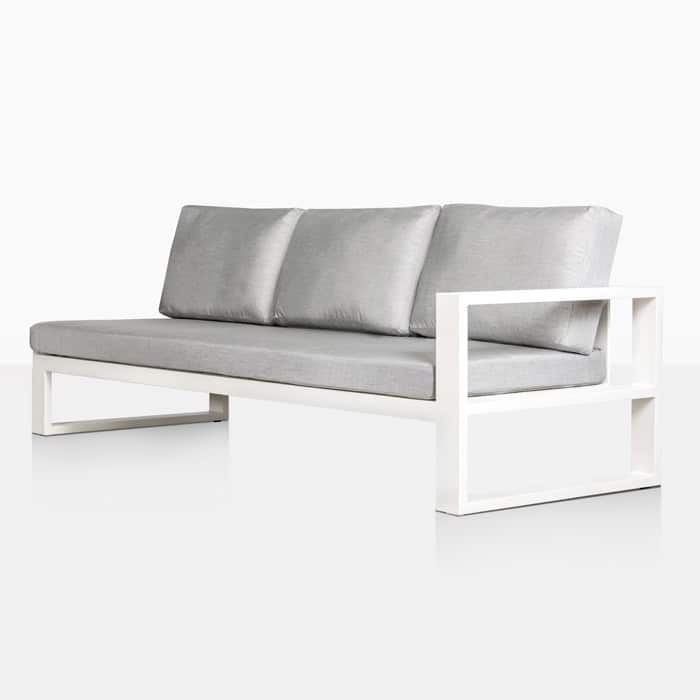 Its design is sleek and simple, and its materials bring each piece into a league of their own. 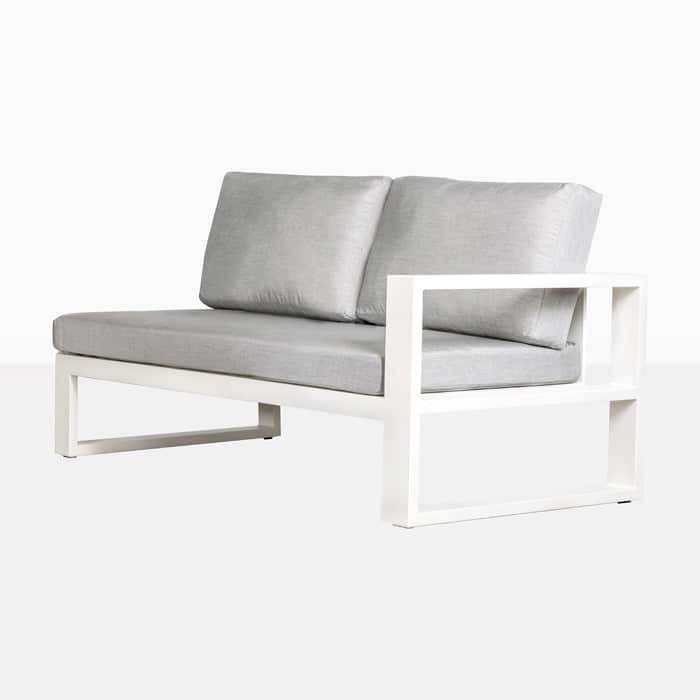 Mykonos is a 12 piece strong contemporary patio set, from sectionals to sofas to a great range of tables, it is the collection that serves any space and any taste! 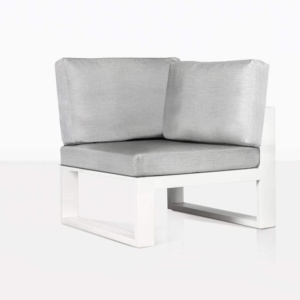 Transform your space into a sanctuary of modern living! 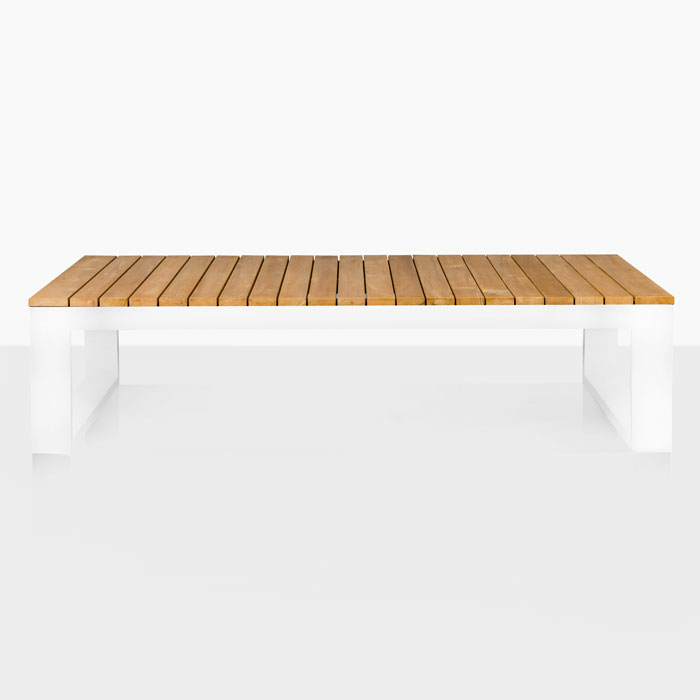 Place your beautiful Mykonos Coffee Table in the midst of your garden and add deep seating to frame it. 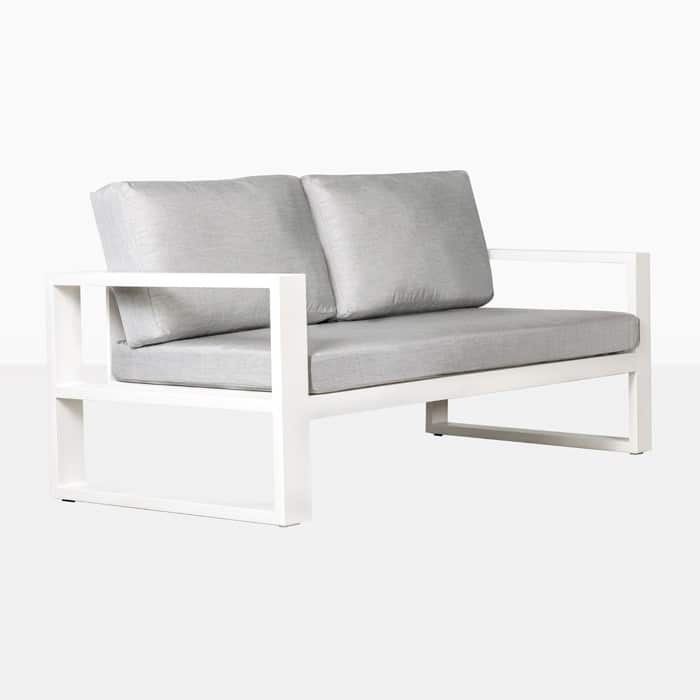 Why not create an enclosure of comfortable seating for guests and family by pairing up three Mykonos Outdoor Sectional Sofas with two Mykonos Corners for a lofty ‘C’ shape – perfect for taking a load off in style and the comfort of your own backyard! After an ideal spot to enjoy a glass of wine after work, or a weekend brunch? 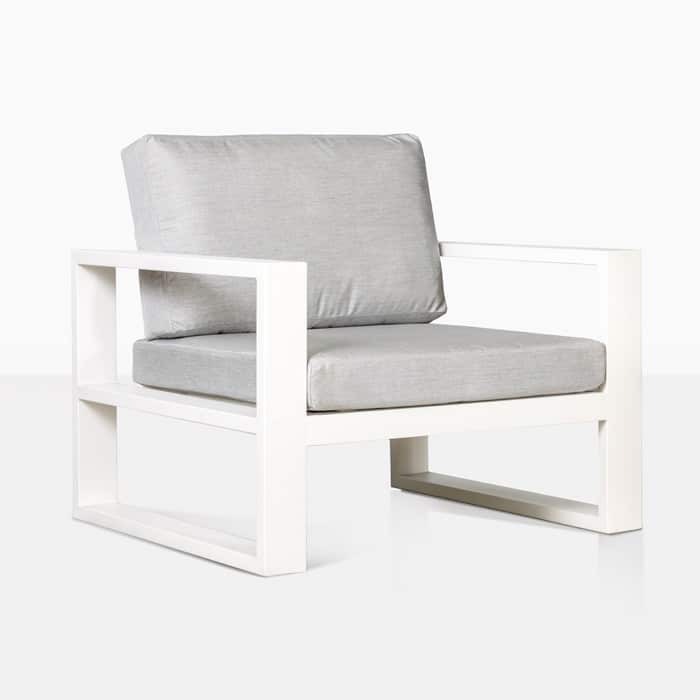 Set up your Mykonos Teak and Aluminium Table with two Mykonos Outdoor Club Chairs on your porch or verandah for your perfect spot to relax in the style and ease that we know you deserve! 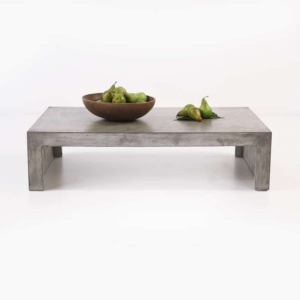 This table also looks spectacular indoors! Dress your Mykonos Table with magazines, books or art for your guests to enjoy as they take in your beautiful home and this exquisite table. 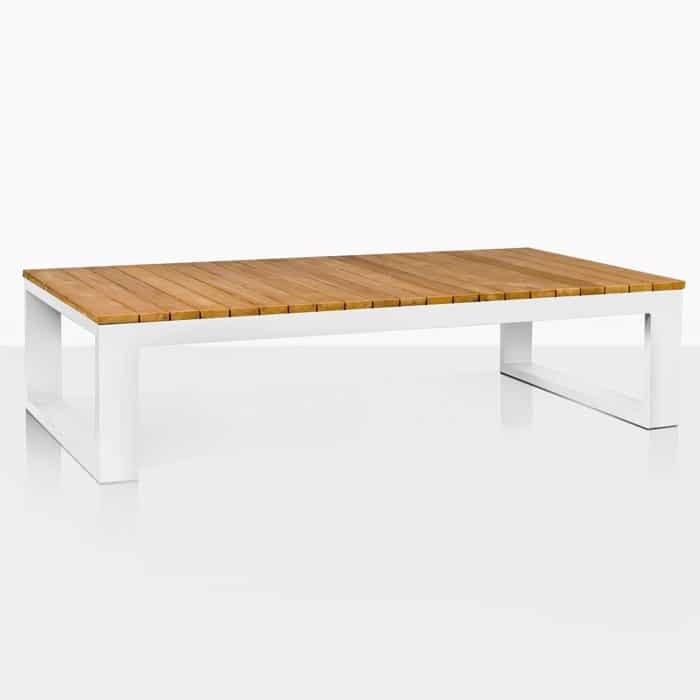 Modern minimalistic design is a winner with the Mykonos Aluminium and Teak Coffee Table, call us today to order yours!